Ram Dass has been with Seva from the very beginning. In this year of Seva’s 40th anniversary and Ram Dass’s 87th birthday (on April 6), Ram Dass continues his selfless service to the family of humankind by sharing his reflections on the end of life through two new projects. Learn more about Ram Dass and his work with Seva in this December 2017 article in Elephant Journal, authored by Seva Executive Director Kate Moynihan. Honor Ram Dass by making a special donation to Seva and watch a 2-minute video as he speaks about having compassion for the global family of humanity. Top: Ram Dass and Seva co-founder Wavy Gravy exemplify the joy that comes with selfless service. 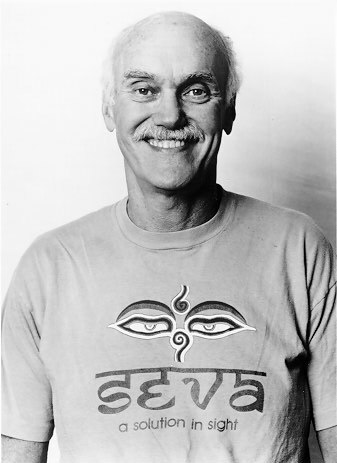 Above: Ram Dass wearing his signature 100-watt smile and his Seva t-shirt! 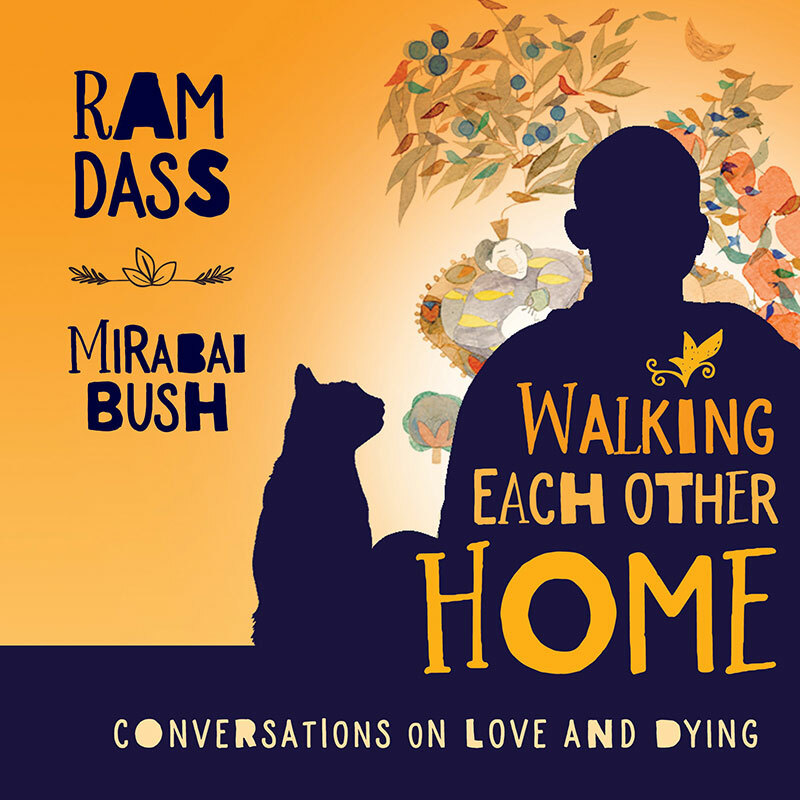 Walking Each Other Home: Conversations on Loving and Dying, slated for publication in September.